This week’s pick is Stack the States, a great, fun and award-winning app for learning the US states. 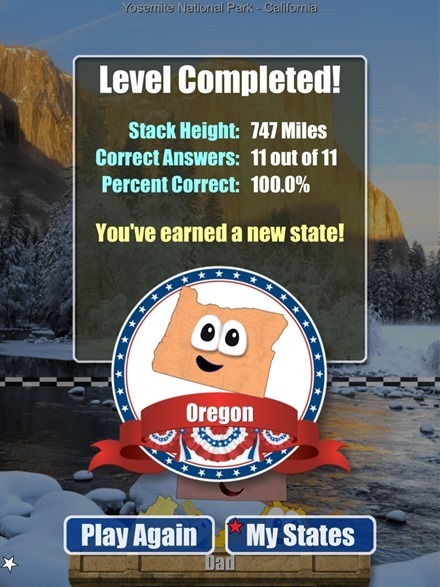 The game has an impressive range of questions – covering state capitals,shapes of the states, bordering states, state flags, nicknames of states, and lots more. 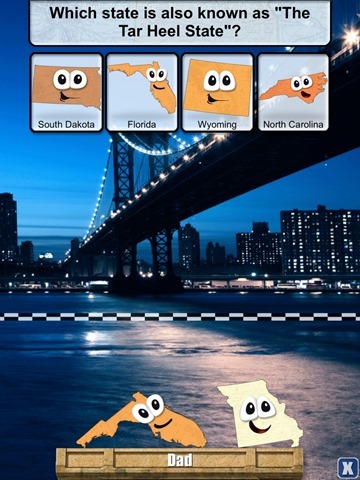 It’s also full of nice touches that help to keep kids engaged – from choosing a state as your avatar to game elements like dropping states into the right position to keep them piling up high enough to move to the next level. As you move up the levels there are also more game variants on offer. One more detail I like about the game is that it’s a rare kids-focused game that doesn’t include any In-App purchase items. 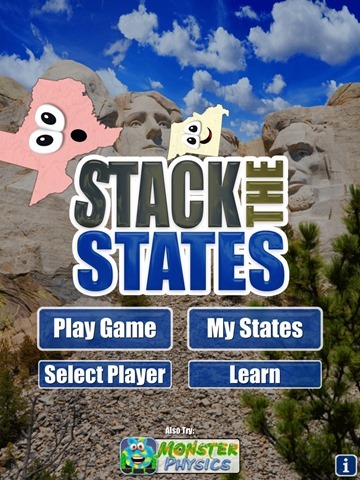 Here’s an App Store link for Stack the States; it’s priced at $0.99 and is a universal app designed to run on both iPad and iPhone. If you’re after more great iPad apps, be sure to check out our previous choices for Best iPad of the Week. We’ve also recently put together a best of the best of our free app selections in a Top 25 Best Free iPad Appslist.